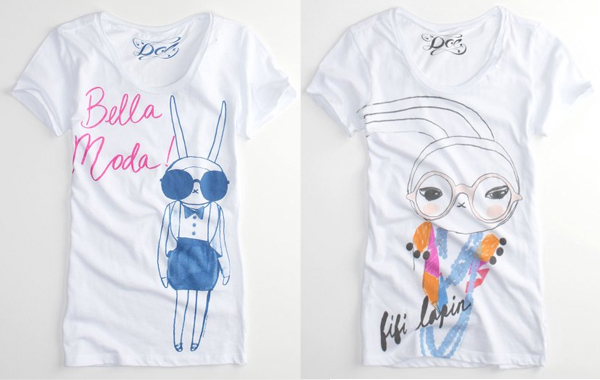 Love the new tees by Fifi Lapin. I happened to be at Queens Center last weekend, saw Fifi in the window at PacSun and picked up the Blue Pearls tee. (And, wow, did I feel ancient walking in there!) Super soft and super cute. Bella Moda tee and Blue Pearls tee at Pacific Sun, both $22.50.